smscluster.com One of the best Bulk SMS reseller systems available in the Bulk SMS market. Our offers helps companies and individual businessmen who wish to start an SMS business. we provide all the technology and the help required to initiate a bulk SMS business. A dedicated control panel are provided to the sms reseller's so they can manage their clients and their bulk SMS systems using our sms interfaces. Our Bulk SMS reseller program helps you earn money instantly. It is essentially a broker deal that connects consumers with an SMS provider. The reseller buys large number units in bulk so as to benefit from the wholesale rates. The reseller then resells the SMS credits at a higher desired rate. Our SMS reseller program is available to consumers, small business units and large enterprises. We offer a readymade fully branded white label SMS interface and it is beginners friendly. For operate that sms solution You require no technical expertise, no connectivity integration with global mobile networks and no hiring of any development resources just start using our SMS panel. Tailor-made website (No programming knowledge required). White Label Panel (Your Brand Name, Logo, and Contact Number). For all accounts, we offer HTTP and XML API for free. You can manage your customers and contacts from panel. We provide Dynamic sender id’s for free. You can have as many sender ids you want. we also provide group management & template management to all the users. A Bulk SMS reseller can sell the sms at their own price. We always try to offer SMS at an affordable price. 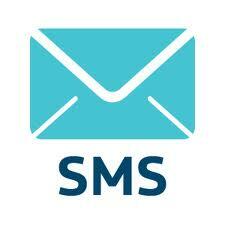 We are one of the most cost effective Bulk SMS provider in India. Our bulk SMS reseller program provides you with 24x7 technical support. For enquiries on smscluster.com Bulk SMS Reseller program, send an email to sales@smscluster.com or fill up the Enquiry Form mentioning your SMS requirements.